Five days between sessions. Now to most anglers that’s normal but for me you’d probably think it was a cold turkey job! Well it wasn’t planned that way but as we all understand I’m sure, you just never know what’s around the corner. And as so often happens my corner came totally out of the blue one morning. Without trying to sound dramatic, I found myself (although not me personally) in a life or death situation. People say it’s then that you suddenly appreciate the things in life that are really important. Well fortunately I’m already there. Angling is a big part of my life, but it’s totally in perspective. I’m passionate but not obsessed. There’s a difference between the two and in regards to anything in our life, not just angling, it’s important we know the difference. As for me, people will always come first, so whether it’s 5 days, 5 weeks or 5 years, when a corner turns up, fishing steps down. It’s not even an issue. 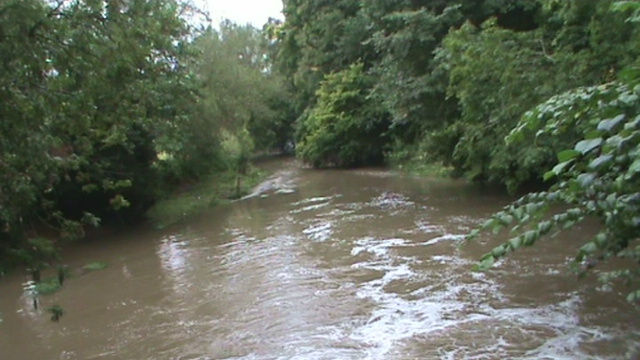 There’s some rain in the Stour! In this instance there was a positive outcome and I was soon back on the bank. Just in time for some perfect barbel conditions! The image above gives you an idea of how much rain fell locally in such a short time. I also added a short YouTube clip of the river. And that was when it had fallen a metre. And for the Sherlocks who are always trying to work out my venues I wasn’t actually fishing there! 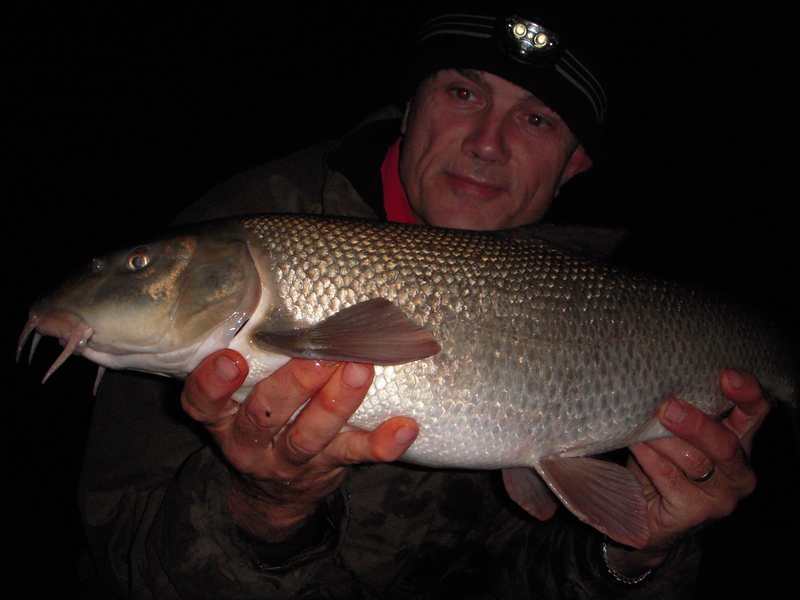 I opened my barbel account on my ‘secret venue’. And if you read my stuff regularly you’ll know all about it. 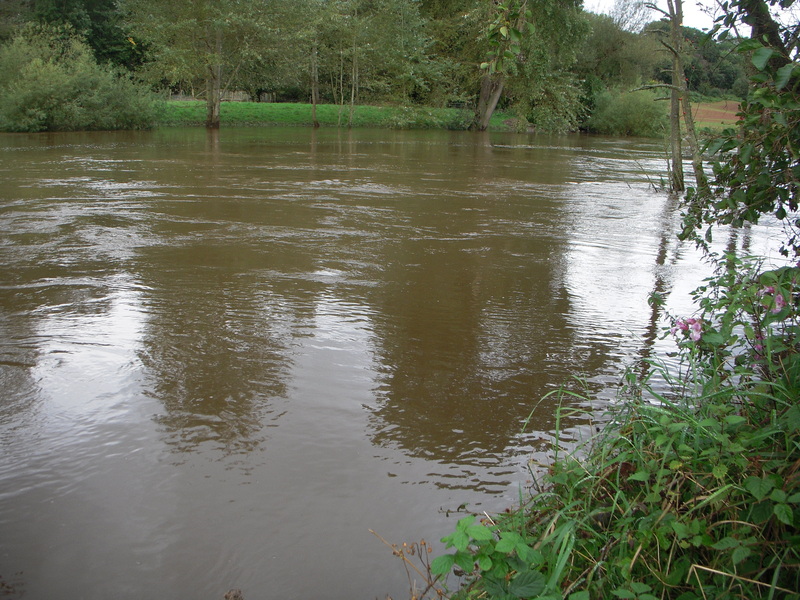 It was up and coloured but falling; conditions which have yielded the fish so far this year. Obviously you have to be realistic on such a venue but at least the odds were shortened a little in my favour. The business end of my tackle as seen in the photograph below is listed as follows (working down the set-up): Drennan grippa stop, 5mm ESP bead, Greys quick change swivel, 2oz lead, Greys top and tail rubbers, Korda Supernatural. Big T Raptor size 7, SBS Frankfurter Barbel Stix. I had a few chub plucks before a full-blooded take, which a few seconds later left me the victim of a hook-pull. It was just a chub though I told myself. 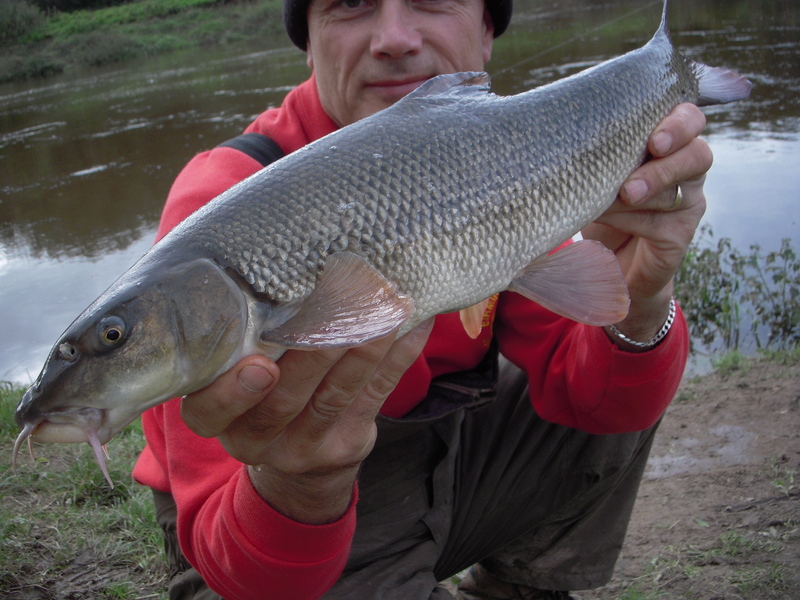 The psychological self-denial of a barbel angler. It did prompt me to return the following evening though. Again a blank. But it is my secret venue. And that’s not psychology. 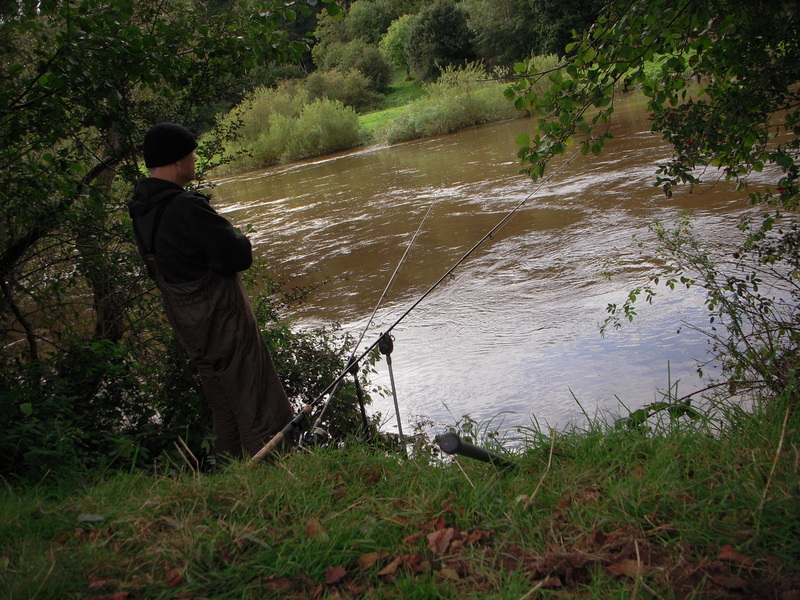 My next outing, with the river about 10 feet up, saw me hit the middle Severn. 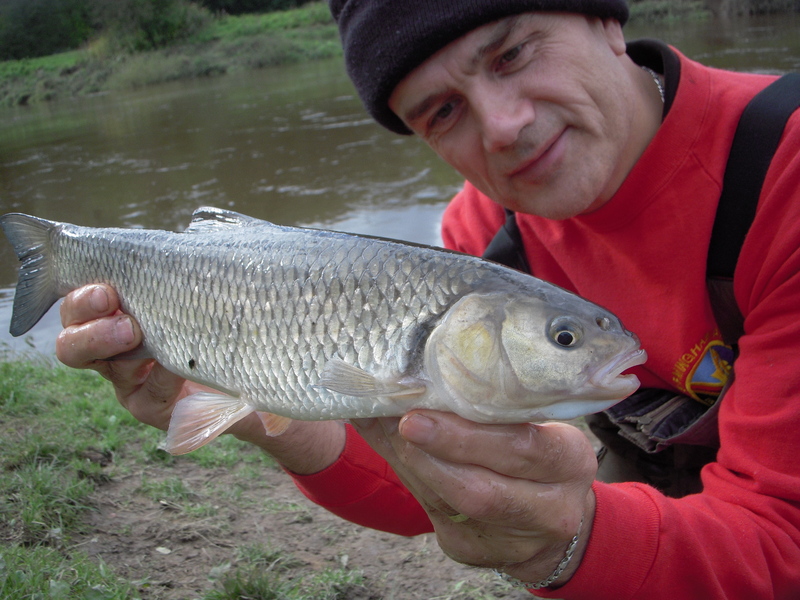 And if you’ve ever wondered why barbel anglers keep going on about flooded rivers, check out the video where I explain why. And the anglers were out in force, to the extent that even though it was mid-week I struggled to get a swim. I also struggled to get a fish as well. I do think though that the flood is an immediate trigger that prompts the fish to feed strongly. But then, like us, they are stuffed and the initial gorging levels off. The feeding frenzy, if you can call it that, comes to an end. But they can still be tempted, it’s just a finer line that’s all. I’m in the buffet restaurant absolutely full. I can’t eat any more. But then I spot the ice cream. I’m not really hungry, but I can’t resist. And that’s what we need to do a few days into a flood: try to convince the stuffed barbel that it really can’t resist one more nibble. And although I left it late, I had my blank-saving greedy fish. I was fishing with two rods, both anchoring baits just off the main flow courtesy of 3.5oz leads. The M2 boilie was untouched but the piece of frankfurter Barbel Stix proved irresistible. 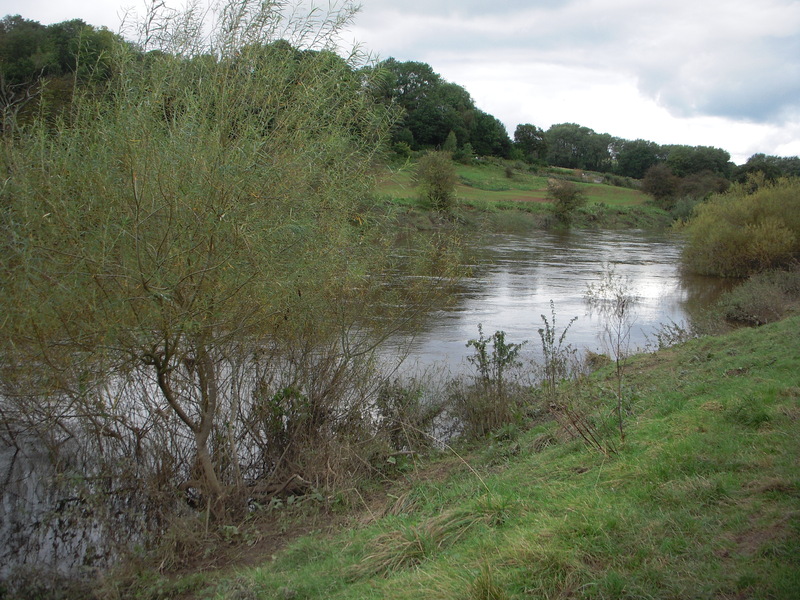 By the time I returned to the Severn a few days later, although it was still well up it had dropped at least a metre. With it being a nice day I decided to film a video around my bait choice, which you can view at the foot of the page. 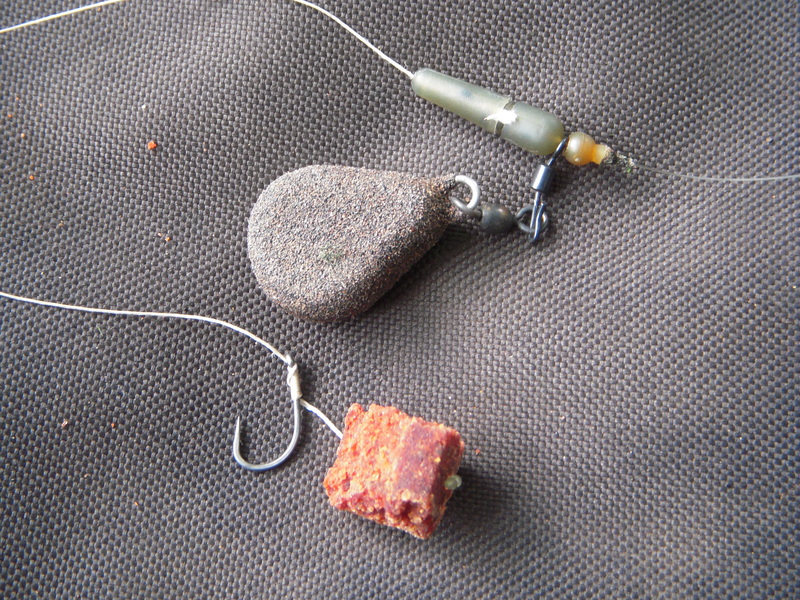 One question I am constantly asked is what bait do you use. I go through the wider bait details in the video. Both rods were cast out using 2.5oz leads, the only difference being the hook length which was braid on the frankfurter bait and mono on the squiddy. It didn’t take me long to bank the first fish, a small chub. 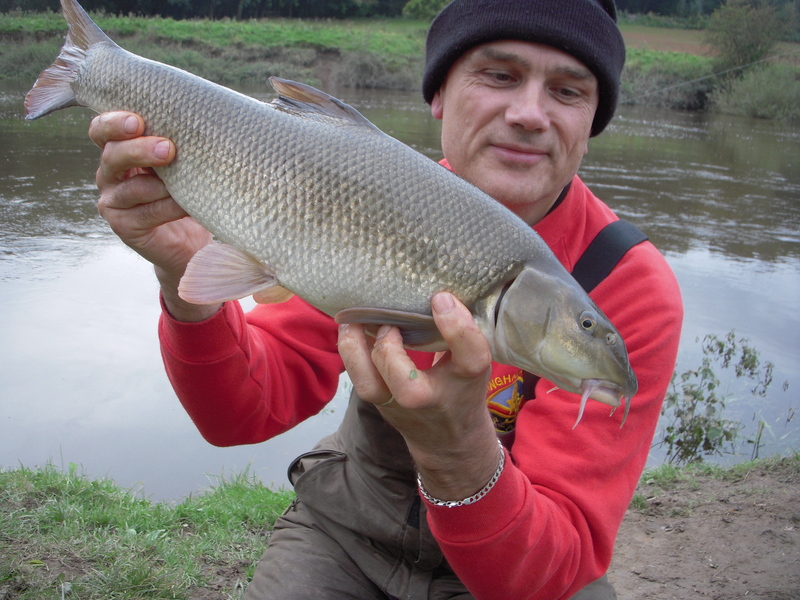 This was followed some time later by a barbel. Funnily enough just a few minutes before I caught the latter a bank walker told me I wouldn’t catch any barbel now as it was past their feeding time! And the next barbel didn’t know it wasn’t supposed to be eating either, as the squiddy took the lead in the bait stakes. 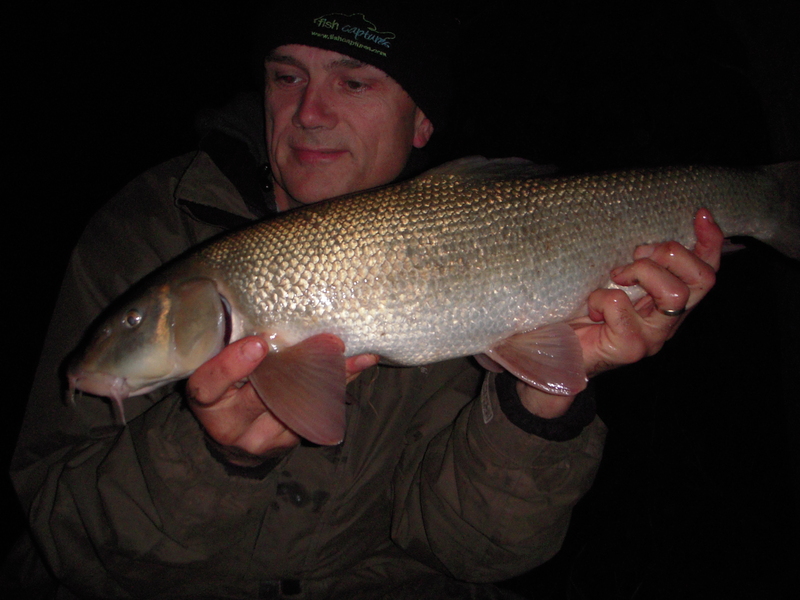 It was a bigger fish than the previous barbel – not a monster but when do they have to get to a certain size to be beautiful? Even though I target specimens there’s no such thing as a nuisance fish in my book. I fished till after 9.00pm which was my intention. As I incorporate my angling into my wider schedule I do generally have times that I work to. Not in a regimented sense, but having a plan does mean we utilise time more effectively. And I ended the session with the biggest fish, again on squiddy. You can’t read too much into that though as it was the downstream rod and I do find when I’m fishing two rods in a line it’s often the end one that produces the goods. It’s in prime place. I enjoyed the session very much, which I suppose is a superfluous statement really! But as I started the article, my fishing is very much in balance with the rest of my life. And it doesn’t matter what we’re talking about, obsessions become very unhealthy. Don’t forget to visit my website. I have updated it every Saturday since July 2003 with a piece based on my fishing adventures. If you want to keep up to date with what I’m doing then check out my facebook page or twitter account. The links are on the site.